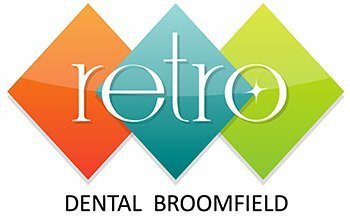 If tooth extraction in Broomfield is absolutely necessary, then visit Retro Dental Broomfield for the best quality care and dental services. Tooth extraction is defined as a complete removal of a tooth from its socket in the bone. While we do everything we can to save your tooth, there are some reasons for tooth removal. Some are extracted, because of advanced decay, severe periodontal disease, or the tooth has broken in such a way it cannot be repaired. Teeth may be removed in preparation for orthodontics or as poorly positioned teeth (impacted). Our number one priority is to help you have optimal oral health and have the best experience we can provide while you are in our office. Don’t procrastinate until it is an emergency if you have dental problems; call us now to get the best results. You have discussed all your options with your dentist and you decided that an extraction is necessary. No need to worry, you and your comfort are our first priority. If you are anxious and stressed, we do have several sedation options available to you. Our doctors will explain them thoroughly and give you the opportunity to choose your best option. You may choose a local anesthetic to numb your tooth, jawbone and the surrounding area; or you may want to have a light sedative, so you do not remember the procedure. Your actual extraction will be performed quickly and professionally with our dental staff and doctor there to make sure you are as comfortable as possible. Remember, having an extraction does not mean that you have to give up anything in your daily life. We have many opportunities for tooth restorations, such as dental bridges or tooth implants, so don’t wait. Call us for help at (303) 466-2935.